ePublishing Knowledge BaseePublishing Knowledge BaseePublishing Knowledge Base Creating, Managing, and Selling Products How do I find order transactions that failed? The Order Manager allows you to view failed and successful orders. This article discusses viewing failed orders. 1. Go to Sales/Marketing > Order > Search. 2. 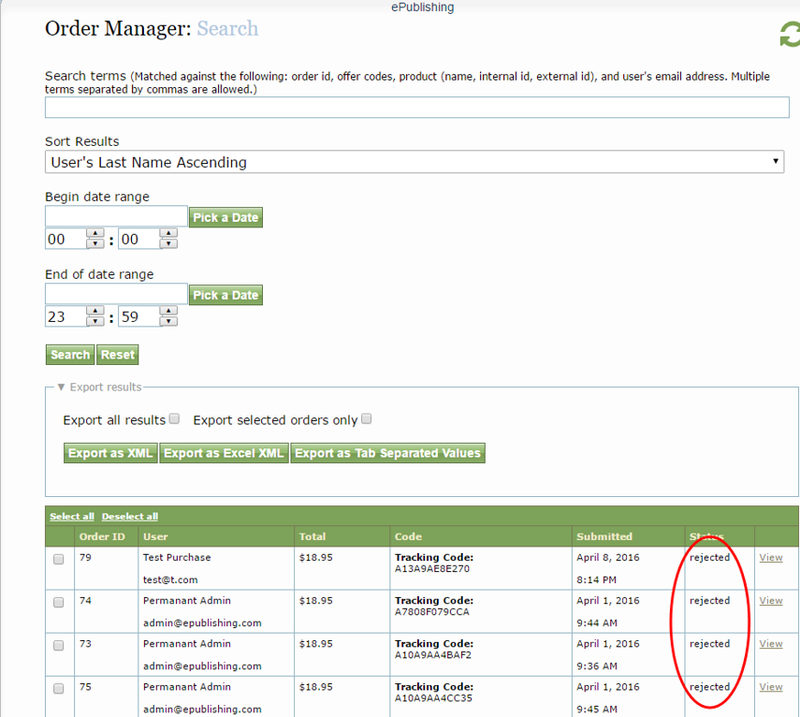 Search for a failed order using the name of the customer, the order ID, email address and other terms. Set the date range if preferred to narrow your search. Click Search. Zoom: Search for a failed order using the name of the customer, the order ID, email address and other terms. Set the date range if preferred to narrow your search. Click Search. 3. 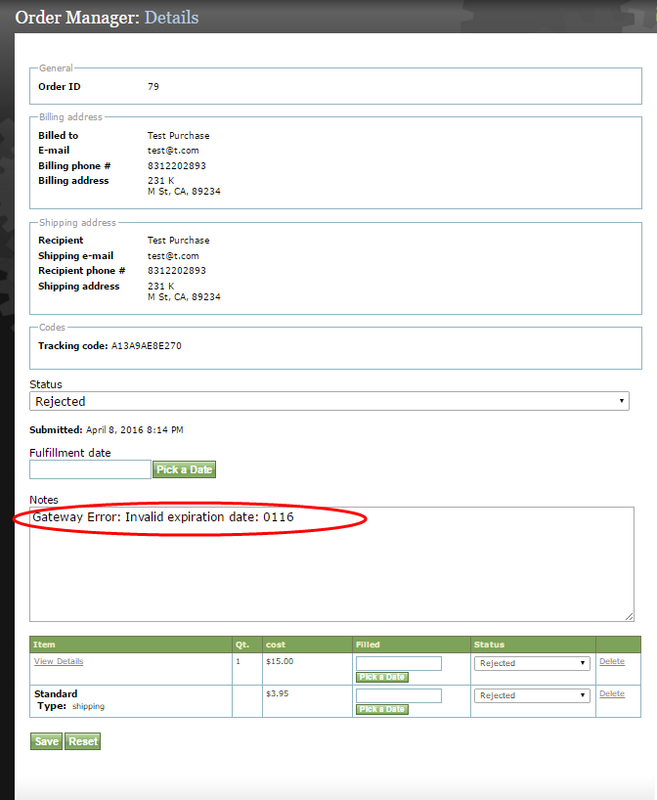 The status of an order is shown in the Status column. If the status is "rejected," it is a failed order. 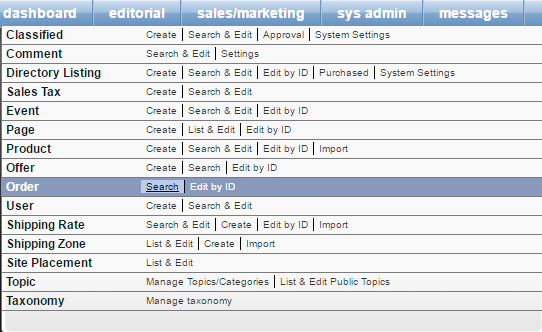 Zoom: The status of an order is shown in the Status column. If the status is &quot;rejected,&quot; it is a failed order. 4. When you find the failed order, click View for more information about the order. 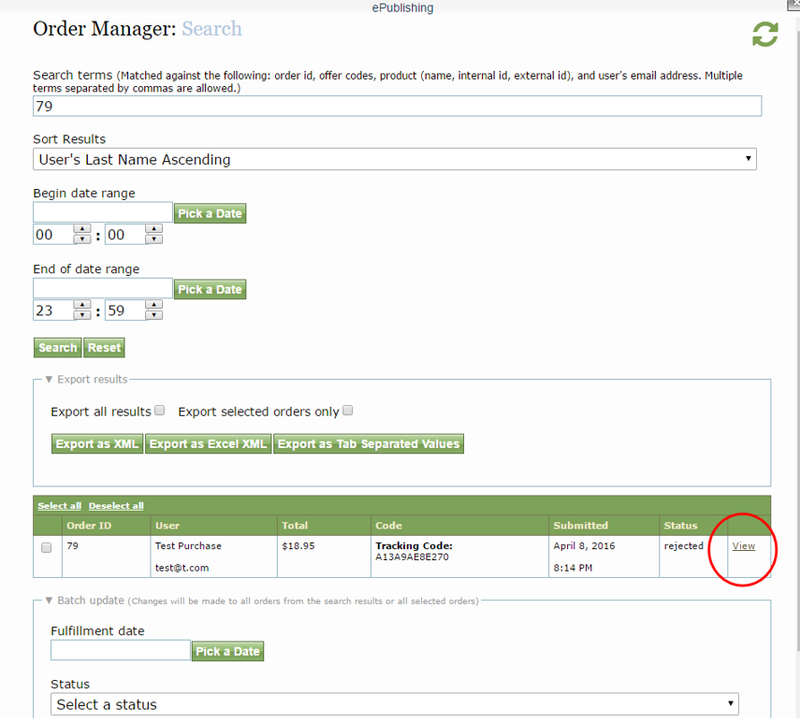 Zoom: When you find the failed order, click View for more information about the order. 5. The failed order record has detailed information about the order. The reason the order failed is in the Notes field. Prev: What do I do with an order transaction failure notification? Next: I've reviewed a failed order. How do I grant the customer access to what they bought?